Ira Roy (b. 1935) has done Elementary and Intermediate examinations in Drawing and Painting, Sir J. J. School of Arts, Bombay (1953). Diploma in Fine Arts (1959) and B.F.A. with specialization in Graphic Arts and Printmaking (1972), Kala Bhavan, Visva-Bharati, Santiniketan. She has taught art subject in many schools including Springdales Public School, New Delhi and in Florence Public School, Noida, U. P. Ira Roy uses guration to a dierent purpose. She interprets the pain and sorrow of women that raises her obvious symbolism to a statement of strength. 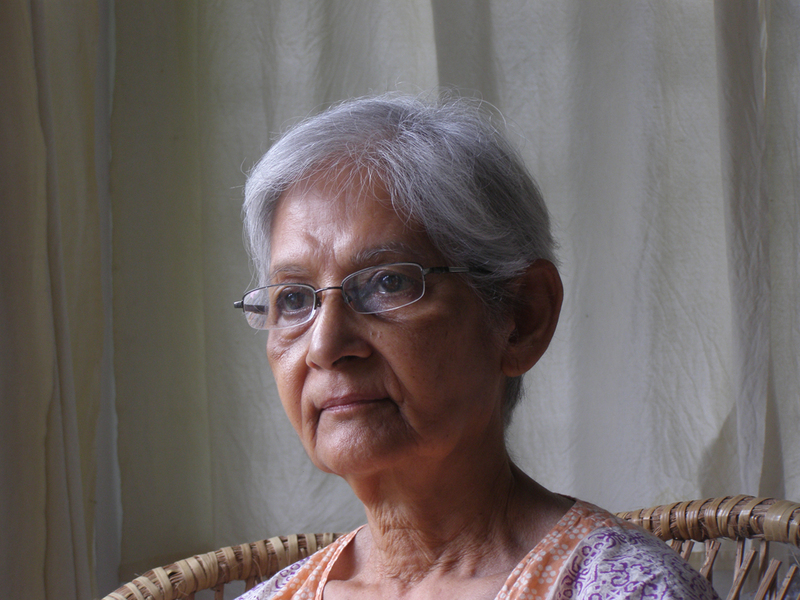 Her 1st solo show was in Nandan Art Gallery, Kala Bhavan,Visva-Bharati, Santiniketan (1974), Lalit Kala Academy, Rabindra Bhavan, New Delhi (1987). She has participated in several group shows including Kala-Bhavana Centenary Exhibition, Visva-Bharati, Santiniketan (2018). Weavers Studio, Kolkata (2011). Two Women Artists, Cymroza Art Gallery, Bombay (1982). Also participated in workshops including Workshop under Alistair Grant, organized by the British Council at Garhi Graphic Studios, New Delhi (1982). Workshop of Printmakers under Lila Asher, USIS, Calcutta (1974). She has got Senior Fellowship for Artists, Ministry of Human Resources Development, New Delhi in 1998. Ira lives and works in Kolkata.